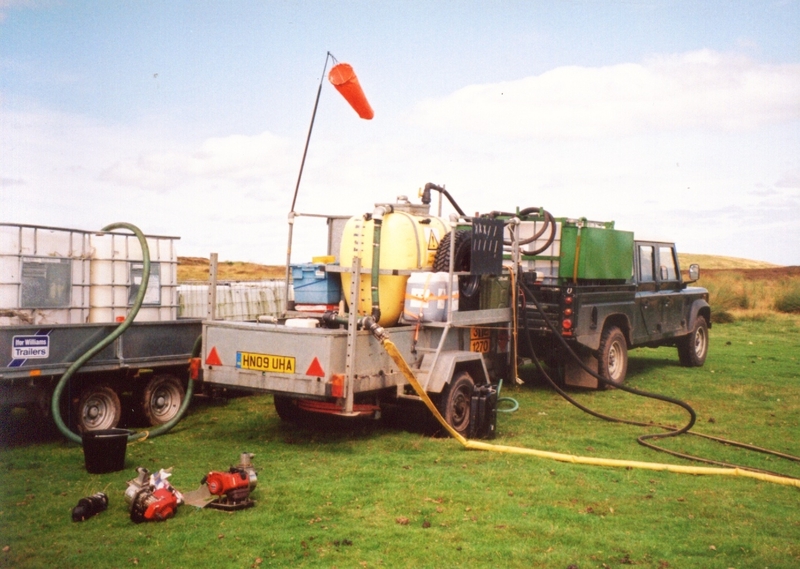 Our equipment is chosen, developed and maintained with safety in mind as well as efficiency. 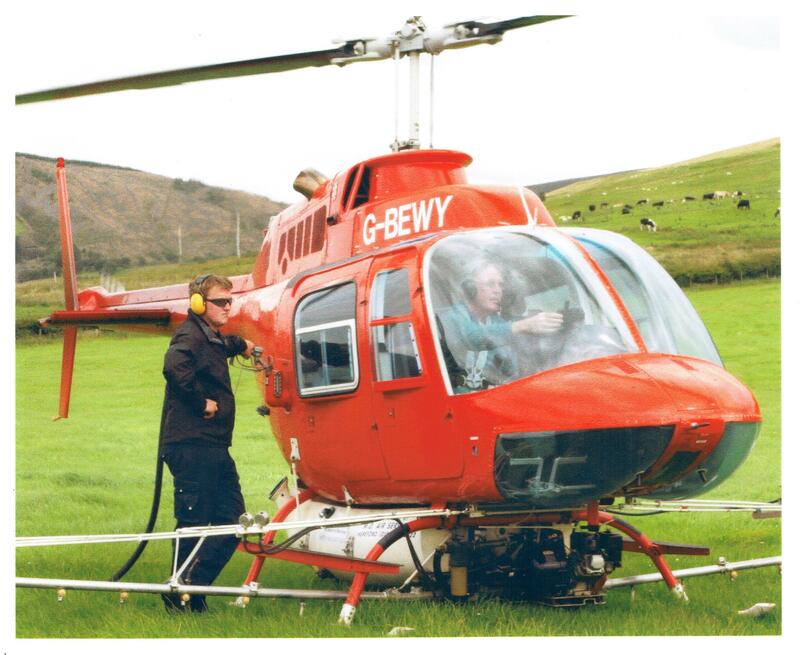 The powerful jet turbine engined helicopter we deploy is ideal to operate safely in difficult terrain and our highly developed Rain Drop nozzle spray boom set-up is well matched to his helicopter’s rotor blade configuration. 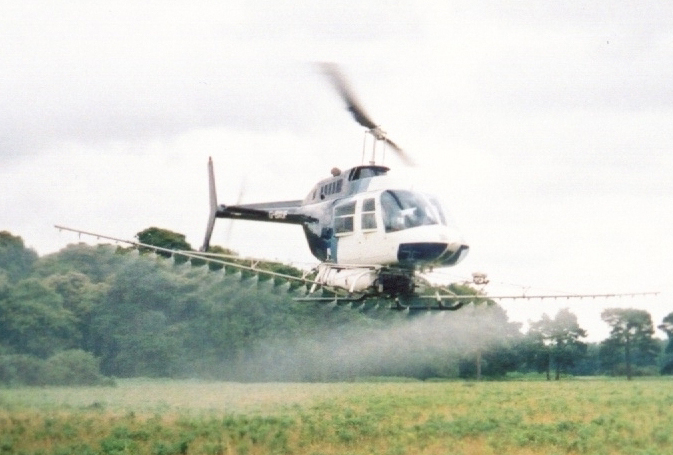 This not only results in an extremely effective spray pattern, but provides excellent swathe control with negligible chemical drift. 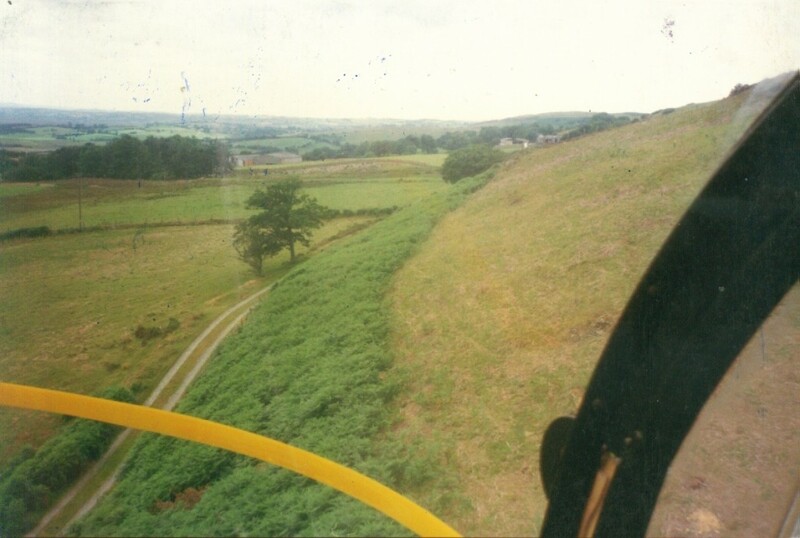 Note the precision of chemical deposition and very sharp “cut off” (we had been asked to leave a Buffer Zone alongside the track) as viewed 12 months later. 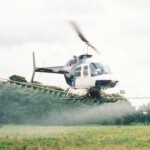 M D Air Services’ helicopter spraying equipment is NSTS tested and certificated each year, in order to ensure that it continues to be fit for purpose. Our ground support units are fitted with purpose built bulk handling closed system chemical mixing and delivery facilities. 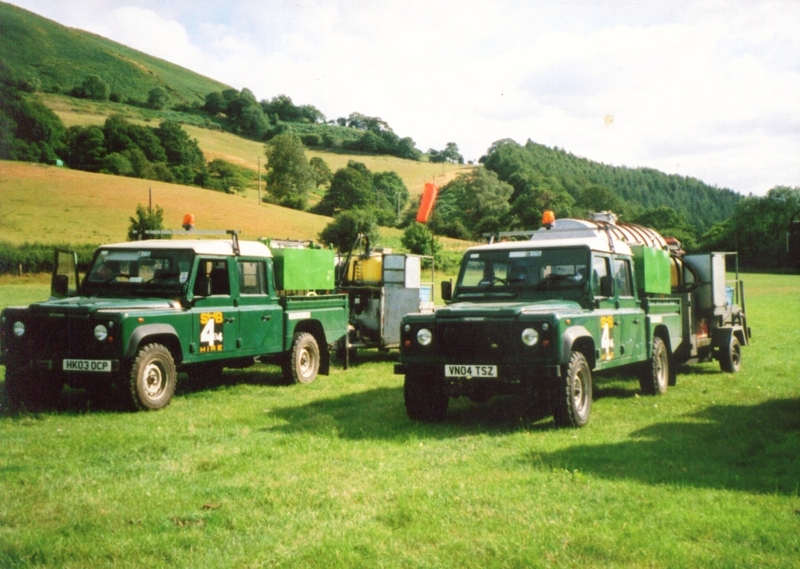 This equipment is mounted on compact, “go anywhere” all terrain vehicles which together with their specially designed trailers are able to safely access the remote loading sites so typical of our type of working arena. Helicopter being refuelled whilst our pilot plots in the position of next job on to his GPS computer having just finished spraying bracken for a farmer near Machynlleth.